• Pocket Casino Review - Can It Make Up For The Small Bonus? As the name itself suggests, Pocket Casino reverberates a mobile casino that’s accessible whenever, wherever. This is a great site to play a host of the very best slots and table games directly from your smartphone or tablet. Although not strictly mobile, Pocket Casino features a remarkable range of games that fans of mobile casino will instantly recognise. What really tickles our casino-reviewing Gorilla’s itch is the green and red colours that ornament the site, giving it a very Christmassy feel. Oh, the Gorilla loves Christmases! Looking beyond the design and feel, let’s find out whether the Casino Gorilla recommends this operator to rookies and expert gamblers alike! Pocket Casino offers a little bit of an unusual welcome offer to its new players. Instead of the usual 100% match bonus, the casino lowers this value way up to 10% match bonus up to £20. Pretty unfamiliar and unattractive for players, especially for experienced players. The casino attempts to make up for this by providing additional match bonuses on the second and third deposits. On your second deposit, you’ll get another tiny match up bonus of 5% up to £5, whilst on your third deposit, you’ll get a similar offer of 5% up to £5. After this, Pocket Casino affords you two extra deals to choose from. Pocket Casino absolutely favours slots fans—while the deposit match bonuses are scanty, free spins come in cornucopia! Along with your 1st, 2nd, and 3rd deposits, the casino tops up your account with three separate sets of free spins. Upon your 1st deposit you’ll be rewarded with 30 free spins to wager on pre-selected slots. 30 free spins are spread over 3 days after registration, each day receiving a total of 10. After making your second deposit, you’ll be awarded with an even better pack of free spins of 50 free spins spread equally over the next 5 days. Simply deposit £10 or more using bonus code SECONDBONUS and the 50 free spins will be yours. Finally, your third deposit gets you more free spins using bonus code THIRDBONUS; 80 in total also spread equally over the next 8 days. You also stand a chance to receive various free spins packages on the regular promotions. Again, keep an eye on the notice board within the site. To receive the welcome bonuses, you must remember to key in the welcome/promo code FIRSTBONUS. This will give you the match bonus plus the initial 30 free spins. As mentioned on the second above, the second and third offers also require bonus codes: SECONDBONUS and THIRDBONUS, respectively. Other promotions such as the reload bonuses will also require inputting promo codes. Sorry live dealer fanatics…Pocket Casino doesn’t offer live casino games at the moment. This is definitely something the operator should consider when making future twerks to its software. Pocket Casino is clearly created for players who love playing on the go. Its site’s convenient HTML5 interface works perfectly and seamlessly across various operating systems such as Android, iOS, and Windows. This means that virtually all modern smartphones and tablets can be used to access Pocket Casino software. Play instantly without needing to download any app and enjoy superior graphics and smooth gaming experience. Pocket Casino utilizes 128-bit Security Socket Layer (SSL) encryption from COMODO and advanced firewall technology to ensure that all your sensitive data at the casino is protected from the preying eyes of cyber criminals. Further, online credit card processing or pay by phone methodologies are handled by several world-renowned companies that also ensure data protection and privacy. Pocket Casino is operated by ElectraWorks Limited, a company that is reputable for upholding responsible gambling. The casino further holds two licenses from Gibraltar Gambling Commission (GGG) and UK Gambling Commission (UKGC). These two statutory bodies are also well-known for upholding responsible gambling, certifying player protection and security, and protecting the under-age and vulnerable persons from participating. The fastest way to get your concerns resolved at Pocket Casino is through the live chat feature that is available 24 hours, every day of the week. You can also fill a well-organized contact form or support ticket if need be. One visible drawback is that the operator doesn’t include a phone contact, which would aid support convenience. Click help or FAQ pages to get important information to aid ‘self-service’ issue resolution. Players from the following countries are not allowed to participate: USA, France, Serbia, Poland, Pakistan, Botswana, DRC, Belize, Djibouti, Sudan, Philippines, Columbia, Burundi, Mozambique, Nigeria, Namibia, Malawi, Bangladesh, Azerbaijan, Australia, Angola, Armenia, Italy, Jamaica, Ireland, Cuba, Haiti, Croatia, China, Cameroon, Central Africa Republic, Mongolia, Myanmar, Pakistan, Palestine…and more. If you are looking for a mobile-friendly casino that doesn’t slim down its offering in terms of range and quality of games. 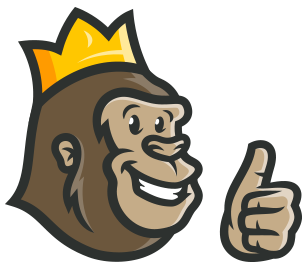 The Gorilla was quite impressed by the looks and feel of the casino across both desktop and mobile versions. He described the wreath as easy on the eyes and very user-friendly. The layout is very simplistic, and you can access the games without much of a hassle. 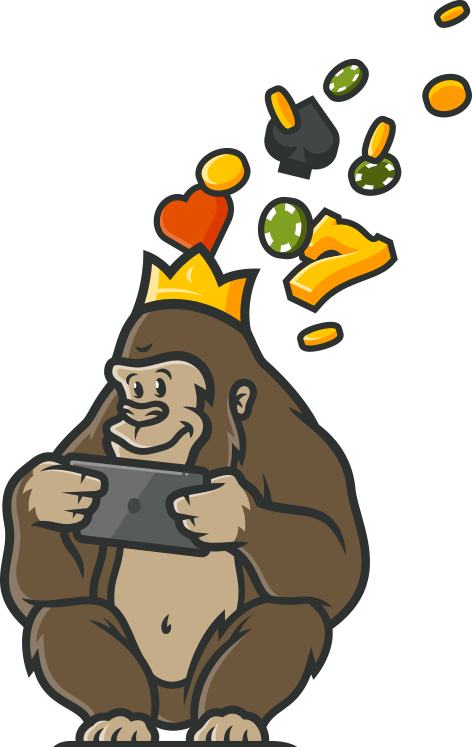 However, the Casino Gorilla was left disappointed with the lack of live dealer games, which have become an almost ‘must-have’ feature in this industry. The lack of a direct phone contact and limited bank support also had the Gorilla sulking. Despite these glitches, the reviewing expert still thinks Pocket Casino is full of possibilities and potential, if such hiccups are addressed sooner rather than later! Easy to use mobile platform that provides many great games. The slots are easy to ply on my tablet and I enjoy the vibrant graphics and awesome payouts. One of my favourite casinos to play at. They have the best customer service and a lot of games so there’s always something new to look forward to. I had some problems with cashing out my winnings initially, but the customer service was very helpful and competent and resolved my issues within minutes.